Electric lights for the church came in 1928. 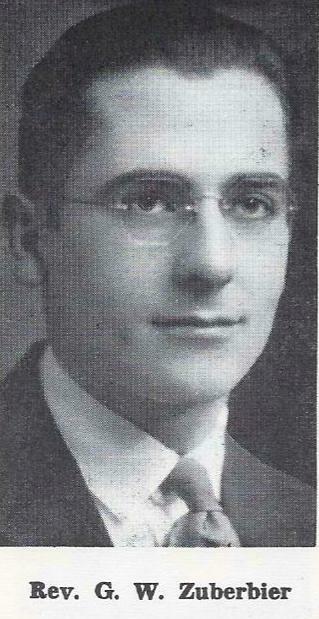 Pastor Braem served as teacher in the parochial school in 1930 and 1931. The day school operated for twenty years until it was discontinued in 1933. A Sunday School was then initiated. 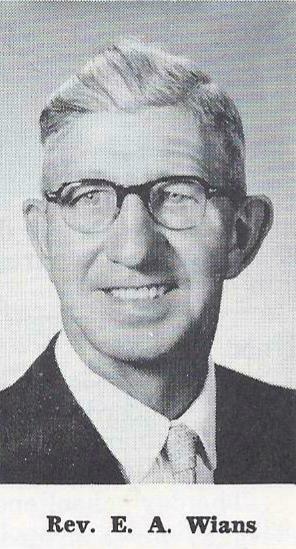 Pastor W. Braem resigned in 1935 after serving nearly twenty years. Rev. G. W. Zuberbier was installed on February 17, 1936 by Rev. R. Pautz of Montpelier. The nation was picking up it’s financial pieces after the Depression. Perhaps we see evidence of that in the improvements as St. John’s-the church was redecorated, pipe organ purchased, furnace installed in the parsonage. Rev. Zuberbier held English services every Sunday and German services every other Sunday. The pledge and envelope system and Sunday bulletins were introduced, a special offering was taken for Synod in 1939. Fire destroyed the new pipe organ on April 30, 1940 and damaged the church interior. After a few weeks, the interior was restored and a new pipe organ was dedicated on August 18. Insurance made possible it’s quick restoration. 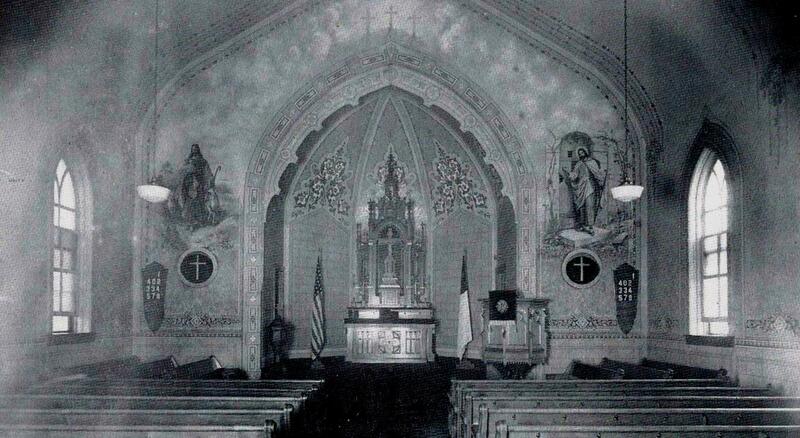 During the World War II years, new Christian and American flags were placed in the chancel. Devotional booklets and Walther League Messenger were sent to members in Armed Forces. On October 5, 1947, Rev. E. A. Wians was installed as St. John’s pastor and succeeded Rev. Zuberbier who had moved to Chilton, Wisconsin. During Rev. Wians fourteen year pastorate, St. John’s widened her mission horizons by participating in Synods ten million dollar expansion program and in the “Building for Christ” and “Venture of Faith” endeavors, by sponsoring the TV program “This Is the Life”.